John Copley is joined by BBC Radio 3 presenter Petroc Trelawny in the ROH’s Clore Studio to discuss the first time he heard Puccini’s heart-breaking score. ‘It was the first proper opera I’d seen. I was 11 or 12 and I cried all the way home on the bus. The next day I went and got a score from the library and I started playing it on the piano. After about four weeks I could play the whole thing - it’s been with me ever since’. 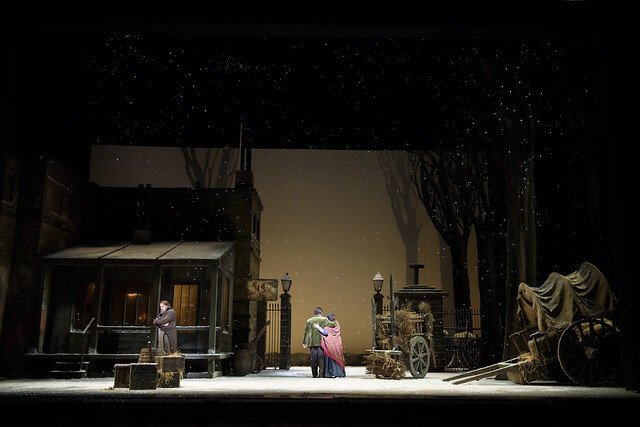 John has created 16 operas for the Royal Opera House during his career but his production of La bohème has become one of the most loved in all the repertory. John wanted to bring the true essence of bohemian Paris to Covent Garden, describing how a café he visited as a student in the city became the reference point for the lively tavern scene. He enlisted designer Julia Trevelyan Oman to help capture the raucous setting, but says he was fearful her intense attention to detail would break the budget. Oman’s insistence on authenticity proved a wise investment. Since that opening performance in February 1974, the tavern has been visited by some of the century’s finest voices including Plácido Domingo, Luciano Pavarotti, Kiri Te Kanawa and Angela Gheorghiu. 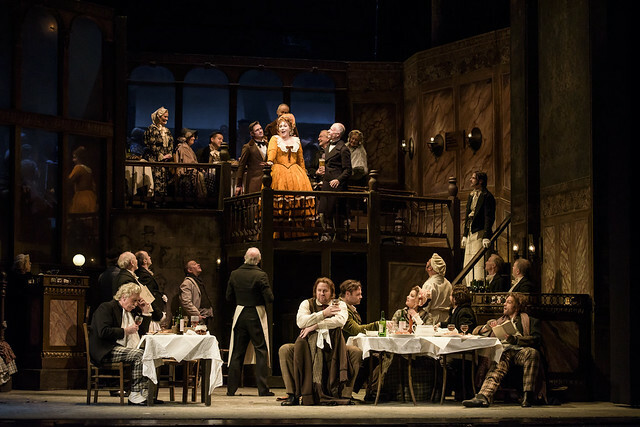 As Copley returns to the Royal Opera House to revive his production for one last time, he praises the cast singing in the final performances. 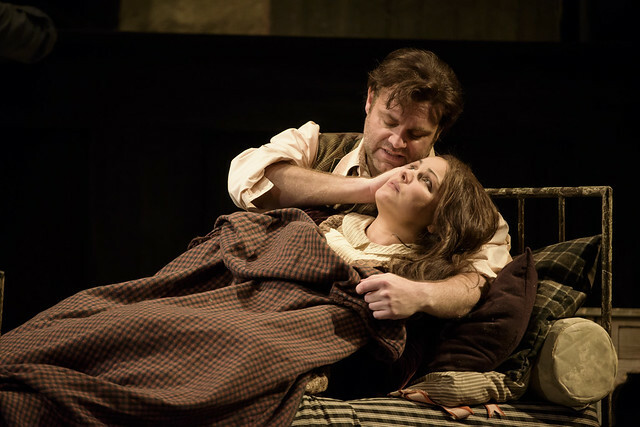 ‘I’ve got Anna Netrebko who I’ve never worked with before – but have admired for years – I’m thrilled she’s doing Mimì. And Joseph Calleja who I love working with - he’s a wonderful singer'. The production is given with generous philanthropic support from Alfiya and Timur Kuanyshev, Marina Hobson OBE and The Royal Opera House Endowment Fund. Original Production (1974) supported by The Linbury Trust. It is a huge mistake to trash such a superb production as this: it ought to be preserved in aspic for posterity in some theatrical museum somewhere, as new productions anywhere are seldom Improvements on their predecessors these days. I well recall seeing its own predecessor with many casts, which likewise dated back four decades, though it creaked at the hinges whereas this remains fresh. Tragedy visited upon tragedy!